The twin’s teen years were very busy. Both Myra and Daphne were pregnant. 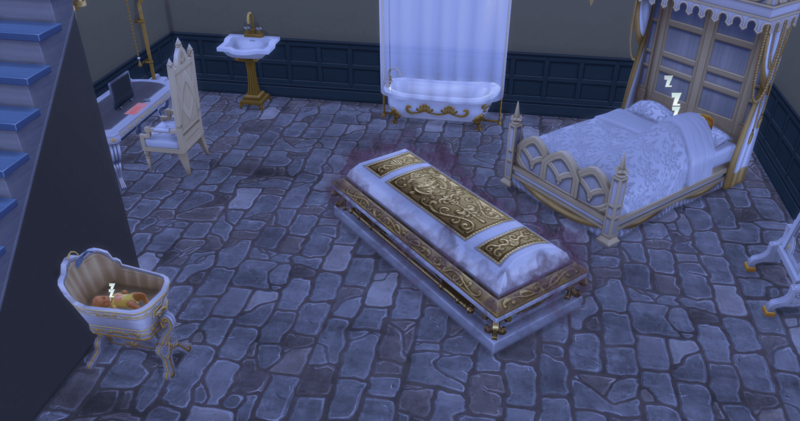 Myra spent time working on her vampire skills. Cybele wasn’t impressed with her choice of practice skills. That is Ethan over for a visit and a photograph. Daphne and Myra compare bellies. The red mist is Myra’s vampire allure. 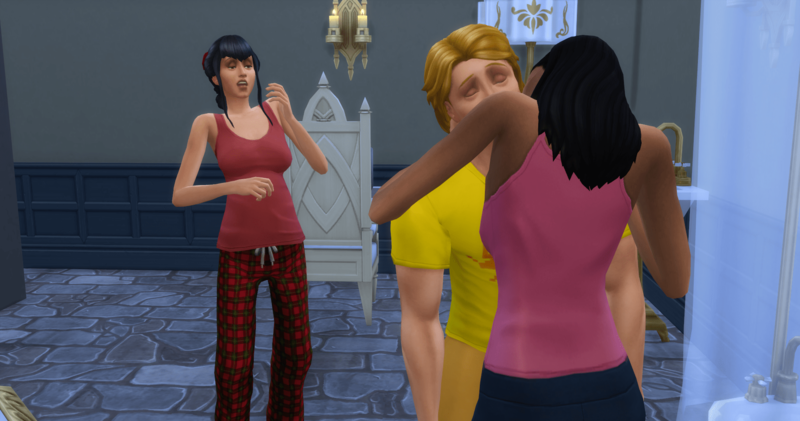 Daphne then scares Myra right into labor. Although you would never know as Myra never had a contraction. Instant skinny after the birth – that would have been nice. She needs to learn about boundaries and which activities should be done in privacy. Daphne has her baby soon after. 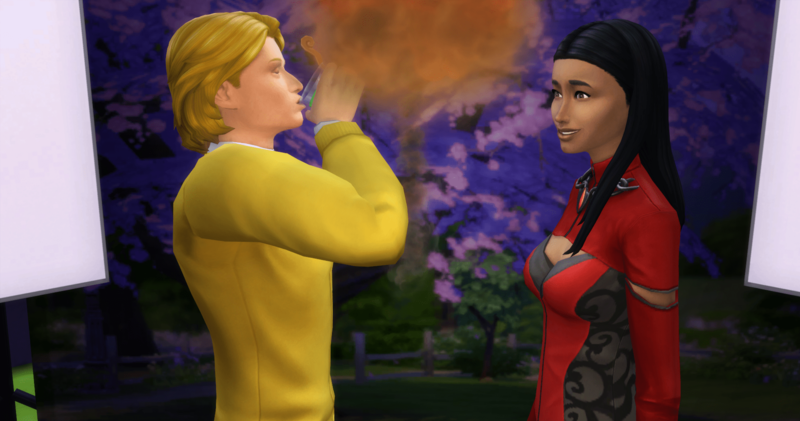 Myra encourages Finley to drink a potion to, umm, enhance his vitality. What Finley doesn’t know is that Myra has a plan. The twins hang out with Ariella. She still shows up almost every night. 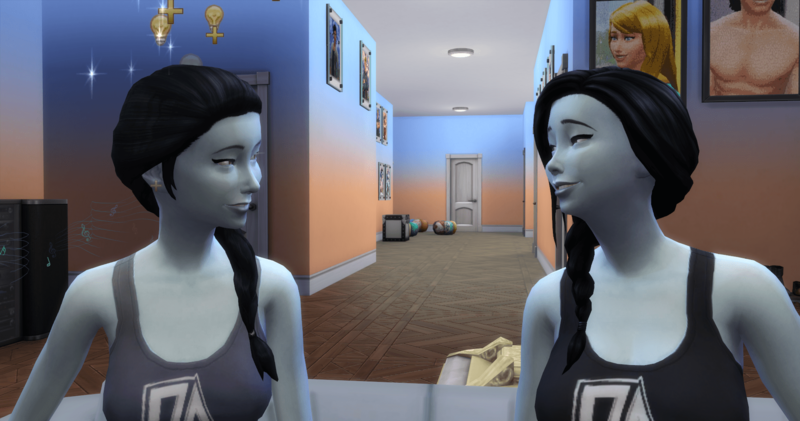 Finley begins reading vampire lore with Myra’s encouragement. He is not impressed with what he is learning. Daphne is ready to cohabitat with her husband. Someone needs to move. 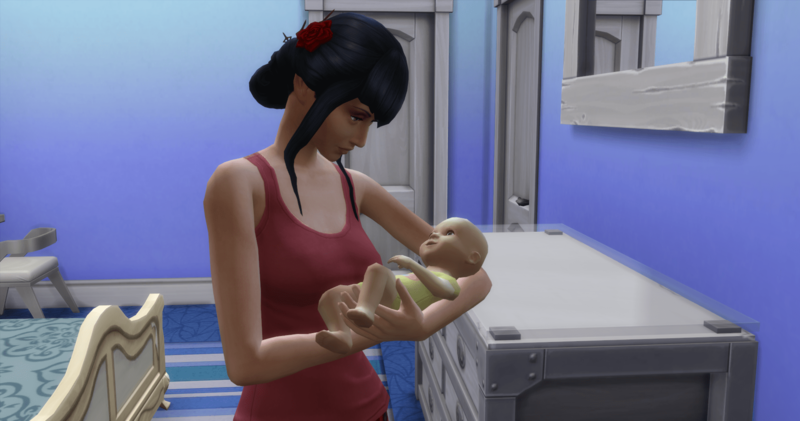 Cybele takes care of Gwendolyn, as Myra and Finley are otherwise occupied. 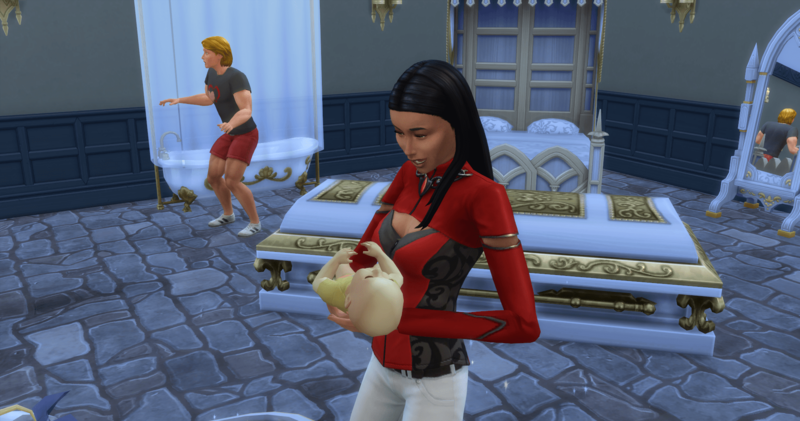 Finley checks out Daphne’s baby, Hillary. She looks just like Gwen. Myra works on controlling her hunger; or rather, feeding her hunger. Despite sitting together, they are each telling themselves a story. Finley changes… Really not sure about that outfit. I never play the Bodybuilder track of the Athletic career. 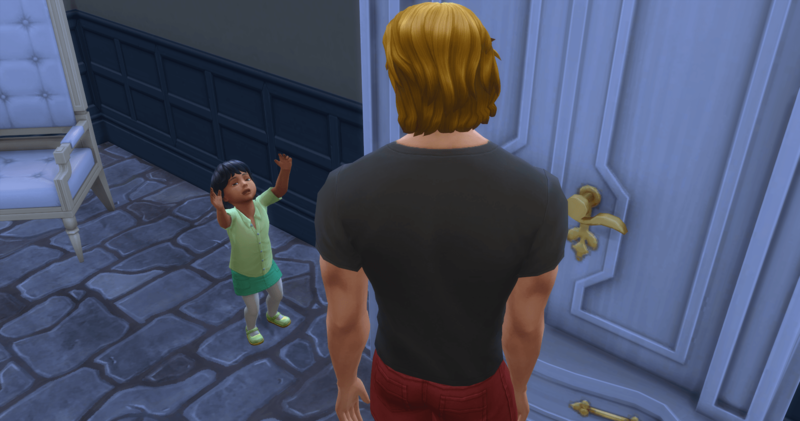 Gwen becomes a toddler. Finley is not sure what to do now. 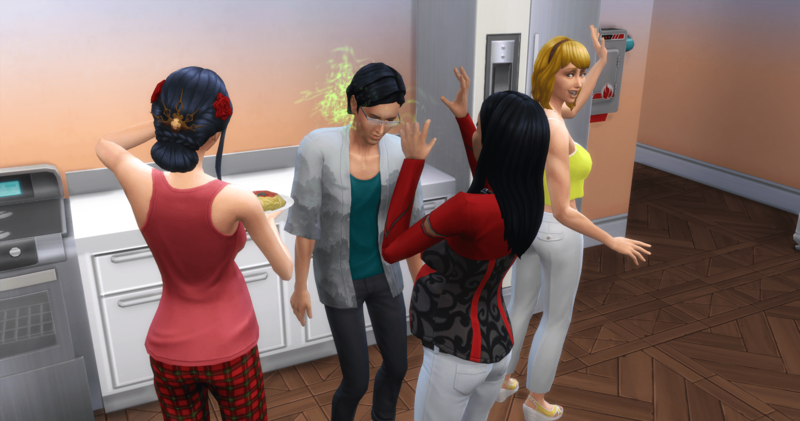 Finley takes Gwen to the kitchen for food, while Myra helps herself to Eliza. They decide they should move to Forgotten Hollow and start a fresh life before it is too late. They decide to leave Gwen with the family so she can have a normal childhood. Gwen struggles at first, settling into the house above the ground. She had to sleep on the couch and floor until they could get a remodel done to provide her a bed. 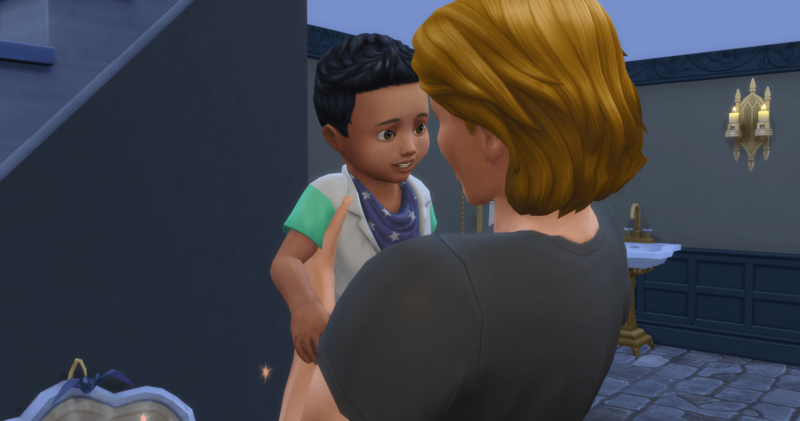 Hillary becomes a toddler, and it is time for Daphne to move in with Jermaine. They take their child with them. 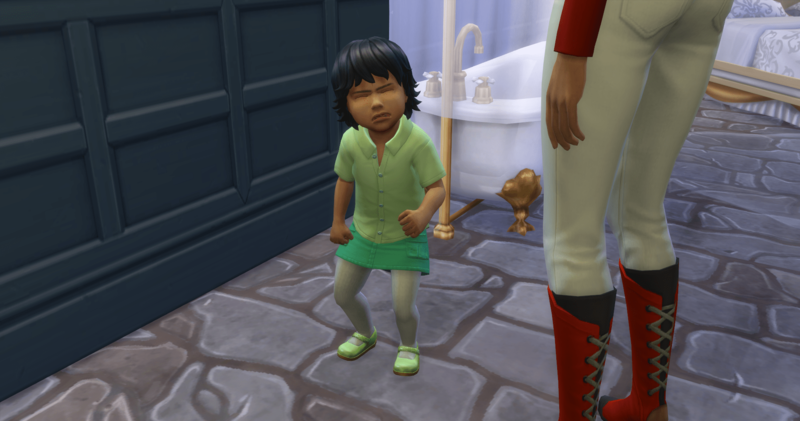 Gwen is a fussy toddler. And a very angry one. Fiona is not impressed with Gwen’s behavior. Gwen gets scolded, a lot. Finally she is fed and ready for bed. The twins aren’t so identical any more. Cybele, Eliza, and Fiona work hard to meet Gwen’s needs. She doesn’t make it easy for them either. Slowly she makes friends and begins to have fewer angry days and more happy days. 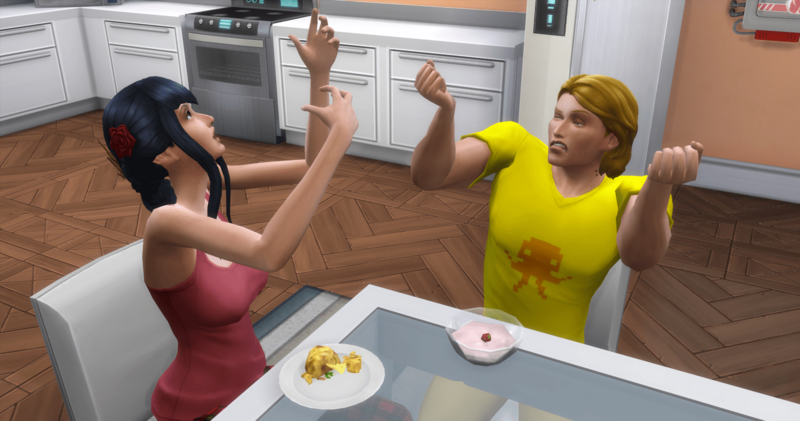 Although, she is still prone to yell at Fiona. 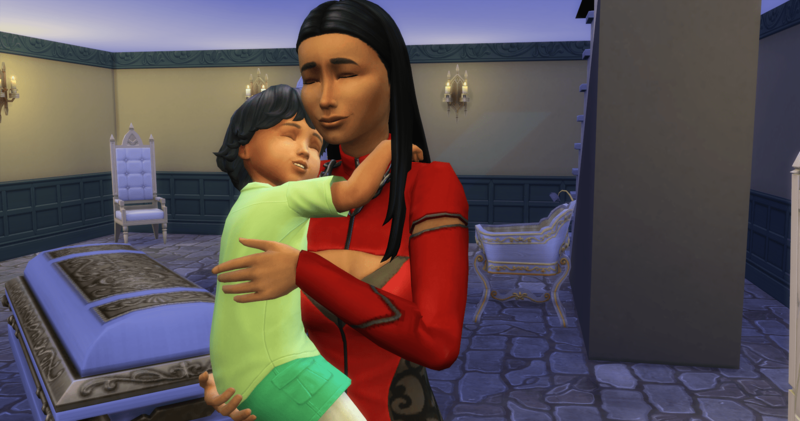 And she rejects Fiona’s hugs most of the time. 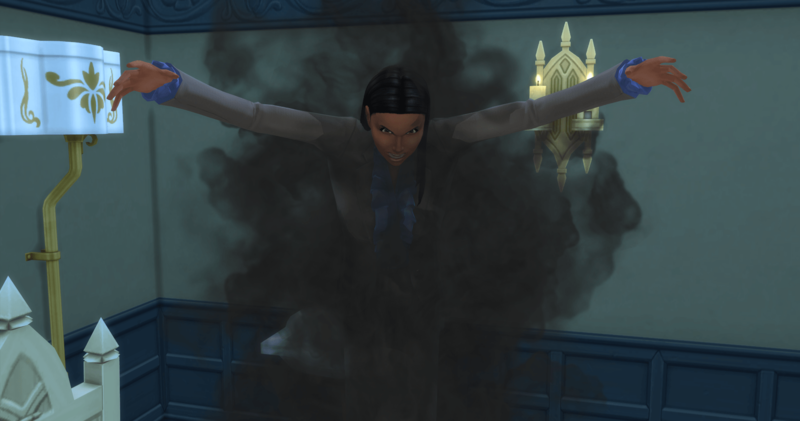 Somehow, the family survives Gwen toddlerhood and she becomes a child. 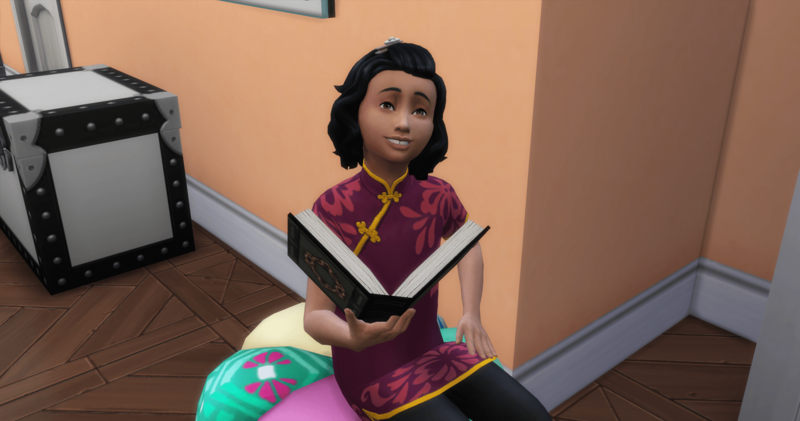 She spends all of her time reading vampire lore. She has a need to understand her parents. And to close the chapter, the twins become young adults. Eliza will be a politician. 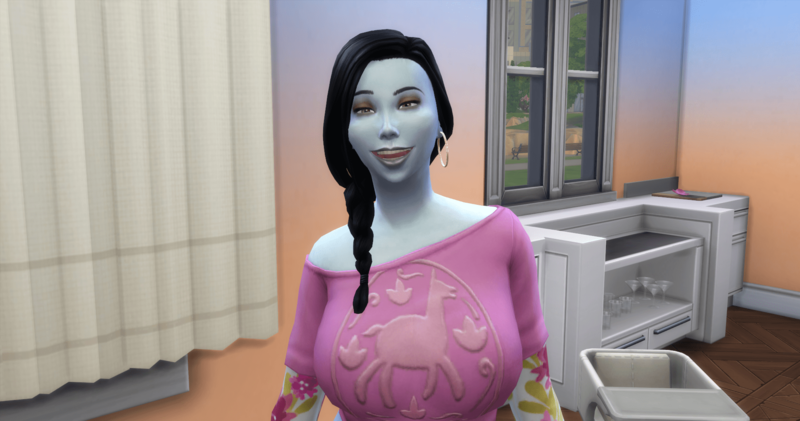 Fiona will be in social media, and will be the heiress.